Right from the first line drawing, every aspect of our solar electric boats is purpose and integral designed and engineered for the highest efficiency for clean solar electric propulsion. Together with our partner Naval DC, the specialists for sustainable drive train systems, our engineering team has a unique skill set of electric naval architecture and electrical system integration. The result: Unprecedented performance and endurance. Our ultra thin and lightweight ocean proof solar panels are part of the design and boost an efficiency of 22.5%. The panels are IP68 and can follow the curvature of the vessel. Benefit now from our experience in modern design and sustainable technology! Marine grade lithium polymer batteries form the rock solid backbone of the system, including all safety features. Naval DC’s integrated systems feature modular, semi-custom lithium polymer batteries from 24V up to 800Vdc for high power applications. The cells used are from the leading lithium polymer cell manufacturer Kokam, which are well known for their exceptional quality, energy density and safe operation. Quality and reliability are our highest goals for all solar electric system components used. Whether our batteries power the propulsion system through the night, or whether they need to supply the AC inverter for air conditioning on board, the system offers you all the power you need. Our electric propulsion systems are superior when it comes to power density and system weight. Averaging on 1kg/kW, our PMS electric drive train is the lightest and most powerfull electric propulsion system in its class. With only one moving part, our system is basically maintenance free. For solar electric sailing boats, our propulsion system can regenerate energy to recharge the batteries. All of our sustainable vessels are equipped with Naval DC’s smart technology for an integrated monitoring, alarm & control systems, the Naval UI. This user interface can be viewed on a range of monitors or smart devices — even your phone or tablet. 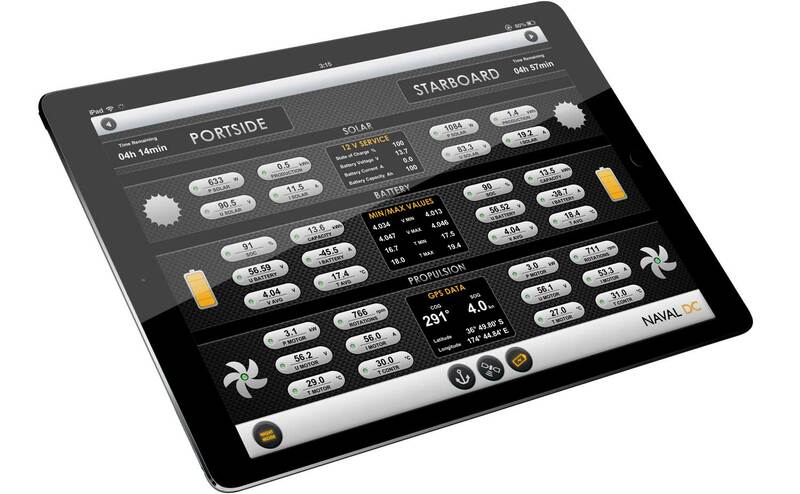 It presents all relevant system data and offers remote monitoring and service support from our partner Naval DC. Most resorts use desalination systems to produce fresh water for laundry, showers and cleaning — an average energy consumption of 3 kWh for every m3 of water produced. Plug the SoelCat 12 into your grid and you can make the equivalent of 2000L fresh water with the harvested energy, per hour. This means you can leave that extra generator behind! Our solar electric boats have a reinforced keel to be beached on sandy beaches. The mobile power station capabilities mean that you are fully energy autonomous in the most remote areas – and throw the most exclusive beach parties without the need for a generator.